Three days after releasing the new Ghostbusters game, development studio Fireforge Games filed for Chapter 7 bankruptcy, Kotaku has learned. The company has been liquidating assets throughout July in an attempt to pay off a debt of at least $12 million, according to bankruptcy filings. 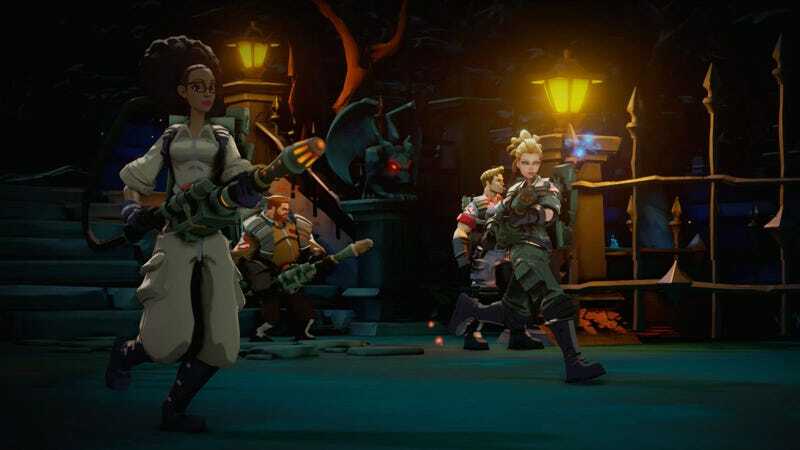 Fireforge, not to be confused with a tabletop company with the same name, may only be known for the recent Ghostbusters game, which was received terribly when it was released alongside the movie on July 12. One possible explanation: The game was developed in just eight months, according to one person who worked on it. On July 15, the company filed for bankruptcy. The history of Fireforge goes back much further than one rushed licensed game. Founded in Irvine, California by ex-Blizzard employee Tim Campbell in 2011, Fireforge has started and stopped production on at least two MOBA-like projects over the past five years. One of those games, code-named Zeus, was due to be published by the hardware company Razer. The other game, code-named Atlas, was funded by the Chinese publisher Tencent, which also owns a 37% stake in Fireforge. Filings show that Fireforge owes around $11.3 million to Tencent. In addition, the now-bankrupt studio has been entangled in a lawsuit with a Singapore-based private company called Min Productions, owned by Razer CEO Min-Liang Tan. Tan alleges that Fireforge failed to deliver on their contract while developing Zeus, and instead used the money to work on Atlas with Tencent. Fireforge, on the other hand, says they only started working on Atlas once Razer had stopped paying them. The lawsuit is currently on hold as Fireforge sorts out their bankruptcy proceedings. On top of that, lawyer Richard Land—who was the “receiver” responsible for selling the games and IP of 38 Studios following that company’s closure—sued Fireforge in 2015. Land claims that Fireforge signed a deal to license 38 Studios’ proprietary social media platform Helios for $3.7 million, then reneged and instead hired several ex-38 Studios employees to build their own version. More to come as we continue to learn the full picture here. Fireforge CEO Tim Campbell did not return a request for comment.